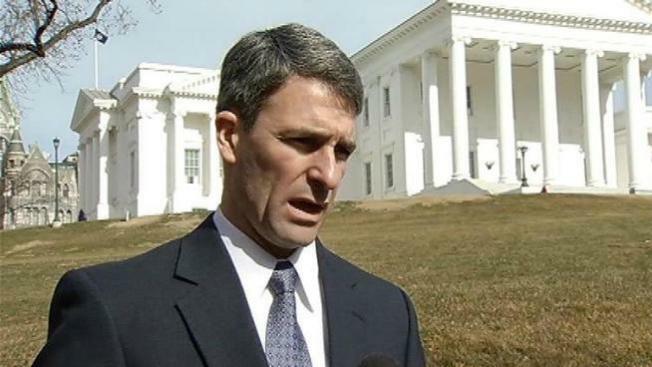 Attorney General Ken Cuccinelli has declined to defend one of Gov. Bob McDonnell's signature education reform laws in court, saying he agrees with critics that it is unconstitutional. The new law allows the state to take over chronically failing schools. It was a major and hotly contested component of McDonnell's education agenda during the 2013 General Assembly. The Virginia School Boards Association and the Norfolk School Board are preparing a lawsuit challenging the law, which they claim usurps local authority granted by the Virginia Constitution. The complaint has not yet been filed in Norfolk Circuit Court, but Cuccinelli has already informed the governor he will not represent the state in the legal battle. Cuccinelli, the GOP candidate for governor, has been distancing himself from McDonnell, whose term has been marred by a gift-giving scandal. Cuccinelli recently aired a TV ad noting that he initiated inquiries that led to state and federal criminal investigations of McDonnell's relationship with a campaign donor who showered the governor and his family with thousands of dollars in gifts and loans while seeking state help in promoting his nutritional supplements company's products. Cuccinelli has received gifts of less value from the same benefactor. The attorney general's decision not to defend the lawsuit ``is a purely legal issue,'' Cuccinelli spokesman Brian Gottstein said Tuesday. Stephen J. Farnsworth, a political science professor at the University of Mary Washington in Fredericksburg, noted that the constitutionality of the law was an issue during the legislative session. In defending the law, the governor has pointed to a part of the Constitution that authorizes the General Assembly to establish and maintain a high quality public education system. McDonnell spokesman Tucker Martin said the Virginia Supreme Court has held that all actions of the General Assembly are presumed to be constitutional. However, he acknowledged that the law allows the attorney general to decline to defend legislative actions. In such cases, special counsel must be appointed. "We look forward to working with special counsel to vigorously defend this important new law that will help ensure every child, in every community, gets a great education,'' Martin said. The law establishes a statewide Opportunity Educational Institution run by an 11-member board. The organization would take over any school that fails to meet accreditation standards based on academic benchmarks. It also could, upon a vote of the board, take over schools that receive accreditation warnings for three consecutive years.